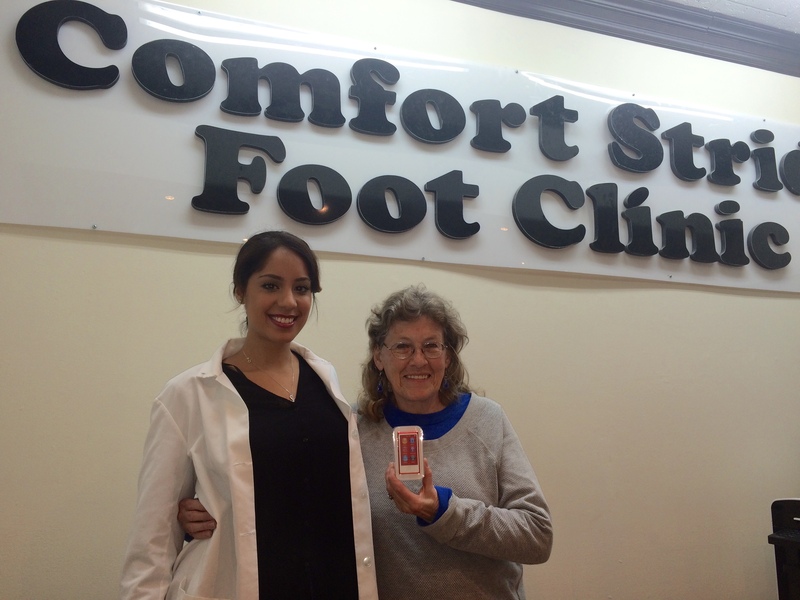 As you guys already know, we had an open house at Comfort Stride Foot Clinic recently in October for the community and even had a prize draw for an iPod mini. We wanted to thank our wonderful patients and anybody who took the time out of their day and stopped by to see our clinic. I hope we can have more events for our foot clinic in the future to keep you guys interested. Congratulations to Wendy Deller of Scarborough who won our prize draw for the iPod mini. Wendy remarked that she can now keep up with the rest of her grandkids with respect to technology! We are so happy that Wendy won our draw as she has been a loyal patient for years. Thank you for all who participated and we once again thank all that took time out of their day to visit us.